Every day, millions of people travel by air, who place their lives in the hands of a few very highly skilled people – the pilots, mechanics, weather forecasters and air traffic controllers. Like any other Air Navigation Service Provider (ANSP), the Air Traffic Management Section (ATM) of MACL play a very crucial role to support a seamless global air traffic management system in the world. As the exclusive ANSP in Maldives, the Air Traffic Management Section of MACL’s aim is to deliver the best service to the operators for the conduct of safe and efficient air transport operations within the approximately 500, 000 square nautical miles of Maldives Flight Information Region (Male’ FIR). It all started in the simplest form during the 70s with just two air traffic controllers in a small room dedicated for the purpose at Hulhule Island. There were no scheduled aircrafts and very few airplanes landed at that time. Over time, the service progressed and the new international airport was opened in 1982, with a brand new control tower. Additional controllers, trained under the supervision of an English consultant were brought into the service. In 1993, due to the rapid growth of tourism in Maldives, the air traffic density increased tremendously and to cater to this, a new Flight Information Centre was established to provide Area and Approach control services (procedural) to flights within Male’ FIR. In order to cope with the enormous growth of air traffic in Maldives, and to ensure flight operations were conducted safely and with regularity and precision, MACL initiated the implementation of the Male’ International Airport upgrading project Phase IV, which resulted in replacing all ATM facilities and the addition of significant new surveillance functionality and an increase of communications coverage and also the introduction of new techniques in the ATM of Maldives including a new air traffic control center and a new state-of-the-art control tower. Radar control service was also introduced with trained controllers later on in the year 2009 for the first time in Maldives. 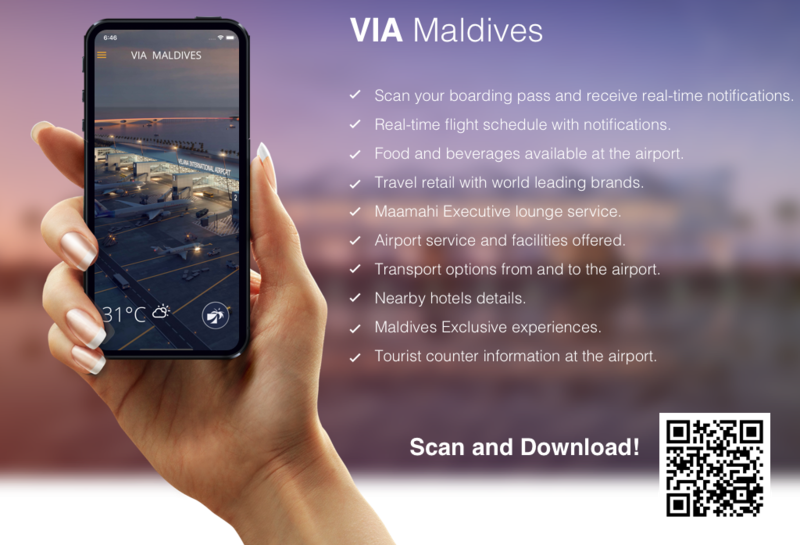 In the year 2011, MACL was mandated with exclusive rights to provide air navigation services to the entire country by the Ministry of Transport and Civil Aviation. The AIP has been prepared in accordance with the Standards and Recommended Practices (SARPS) of Annex 15 to the Chicago Convention, and, in general, conforms to the guidance material in the Aeronautical Information Services Manual (ICAO Doc 8126 - AN 872). No Amendments at this time!